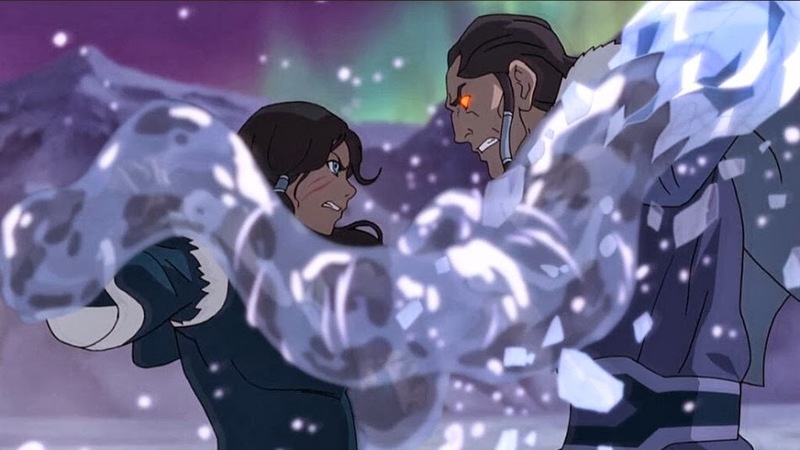 Speakin' Geek: "Change" is coming to "The Legend of Korra"
Speakeasy interviewed the creators of the hit Nickelodeon series,Michael DiMartino and Bryan Konietzko, and they offered up a look at the current season, Book 2 “Spirits,” and a look ahead at coming episodes. The finale for Book 2 in the “Korra” saga is already online, and is due to be broadcast on TV this Friday on Nickelodeon at 8 pm ET. DiMartino also said “We don’t have an airdate yet. We’re already working on the first few episodes of post-production for Book 3. So that’s all going very well.” I'm surprised to see that deviation from the theme of elements to the title of The Legend of Korra series since every season has always had an element as it's title, even Spirit is considered an element in my eyes since it is used in the same way as the other elements. So how excited are you about this news? This could mean that the lads at Nickelodeon don't want us waiting as long between seasons any more. Comment below, follow us here at Agent of Geek to keep up to date with nerdy news and beyond.